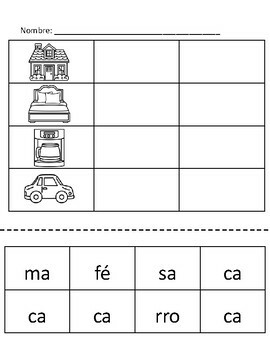 Great independent worksheet for students working on building open syllable words in Spanish. 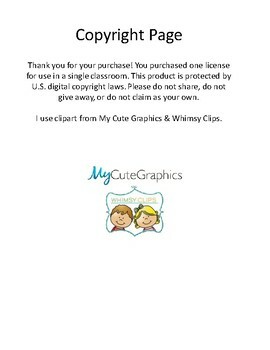 Cut & paste the syllables to match the pictures. 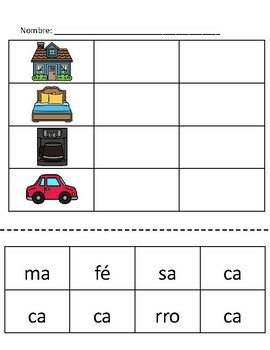 All syllables start with ca (casa, cama, café, & carro). Included in color and black & white.